Your family practice doctor is often your primary care physician. Using a doctor from a family practice, you get a generalist who makes it a goal to keep you and your family healthy, through the childhood diseases, the little accidents and the adult struggles with aging. Your family practice physician is your first line of defense against illnesses and ailments for all members of your family, regardless of age, gender or lifestyle. Note: Brooklyn family physicians at Century Medical and Dental Center located in Downtown Brooklyn, Flatbush or Gravesend locations are accepting all major insurance plans including Medicare and Medicaid. A family practice in Brooklyn has a big advantage over other medical specialties: their relationship with you and your family. By building that relationship over years, your family practice physician is able to know your medical history, which helps him make faster diagnoses and more targeted treatment plans. This advantage applies to all your family members too. You need a Brooklyn doctor you can trust with your family’s health. Find a doctor you like, one who listens and takes the time to answer your questions. When you trust that your family doctor has your family’s best interests in mind, you’re more likely to follow his guidance and advice. Your choice for a family practice physician sets the tone for your family’s entire health care. Many insurance companies require a primary care physician, through which you can get appointments to specialists. But more than that, your family doctor provides primary or first-stop care. When something’s bothering you or one of the members of your family, the first call goes to your doctor in Brooklyn, not to the hospital. Most of the medical care you need is delivered to you by your family practice physician. He can treat wounds and prescribe medications. He can recommend lifestyle changes to help you prevent disease. A good primary care physician can save your life and save you money by delivering appropriate care at the right time. Medical specialties have their place in the health care system, and they deliver needed services. But you don’t need a specialist to look at your son’s scraped elbow or the pain in your side. At least not yet. If it’s a serious enough injury or illness, your doctor recommends a specialist or even a trip to the hospital. Often, he can solve the issue right there in his Brooklyn office. Having a Brooklyn family practice doctor as your primary care physician means you and your family get ongoing and comprehensive medical care. No doctor makes house calls anymore, but your family doctor can get you in to see him when he knows you need him. And that’s the value of having a relationship with your family doctor. It’s the third point above that makes family practice doctors so valued. To seek a comprehensive picture of your health, your doctor needs to learn more about you than where it hurts. There are family dynamics, job stresses and physical and emotional tendencies. All of these become clear to a doctor who knows you and has developed a relationship with you. 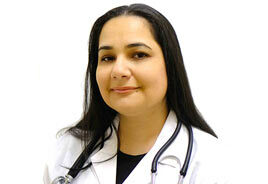 It’s a holistic approach that makes your family doctor so important to your family’s overall health and well-being. At Century Medical & Dental, you’ll find doctors who want to get to know you and your family. They see the value in building relationships. They want to take care of your family as they grow. They want to help you guard against preventable diseases and repair broken limbs when the need arises. Working with family members from the newly born to the rapidly aging, your family practice physician connects with every member of your family. He educates, advises and recommends treatments. And that’s exactly what you want in a family practice doctor.